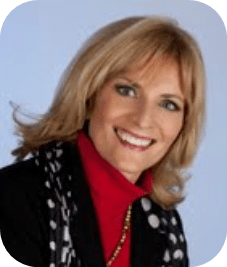 Dr. Karen S. Walch is an executive educator and coach. She is a co-creator of Quantum Negotiation Certification programs and is an Emeritus faculty member of Thunderbird School of Global Management. Karen specializes in social interaction skills of negotiation, collaboration, influence, and inclusion. Her facilitation and coaching are focused on developing leadership behaviors for maximum personal and organizational impact in a dynamic and disruptive global economy. She has several decades of experience in diverse business and academic settings, including insurance, law, tourism, aquaculture, security studies, MBA education, and corporate learning. Karen’s research interests are in the area of social-psychological and neurological factors of culture, leadership, and negotiation. She has authored books and articles, including “The Power of Understanding: Achieving Buoyancy for Negotiation Impact” (2013) and “Maximizing Business Results with the Strategic Performance Framework: The Cultural Orientations Guide” (2014) with Lynne Putz and Joerg Schmitz. She served on the 2006 research team for the Thunderbird Global Mindset Project; the Bertelsmann Foundation 2005 Corporate Cultures Project; the 2008 National Academy of Science Neuroscience research team; and the 2011 social, emotional, and spiritual dimensions of negotiation for the Harvard Negotiation Leadership Conference team. Her curriculum development and design for negotiation cases, online courses, distance education forums, and negotiation certification programs are utilized in MBA and global executive education courses – many delivered on site in over 40 countries, including Germany, Mexico, Saudi Arabia, China, India, Israel, Russia, Thailand, and South Korea. Karen has received over a dozen teaching awards, and specializes in the area of cultural competencies and negotiation planning and strategy applied to the areas of, but not limited to, consultative sales processes; key account management; management/labor practices; joint venture and partnerships; global virtual marketing and manufacturing teams; corporate telecom and chemical global management; family-run businesses; procurement, and customer relations. She has delivered to a wide range of global corporate clients to develop leadership competencies with certified assessments tools from: The Cultural Orientations Indicator; the Cultural Navigator; The Emotional Competency Indicator; Cultural ExpertNegotiator; International Coach Federation; Global Mindset Inventory; London Centre for Dispute Resolution; and Quantum Negotiation Certification Profile. Karen pursued a Ph.D. in international political economy and negotiation at the University of Wisconsin while working in business, political, and legal settings.